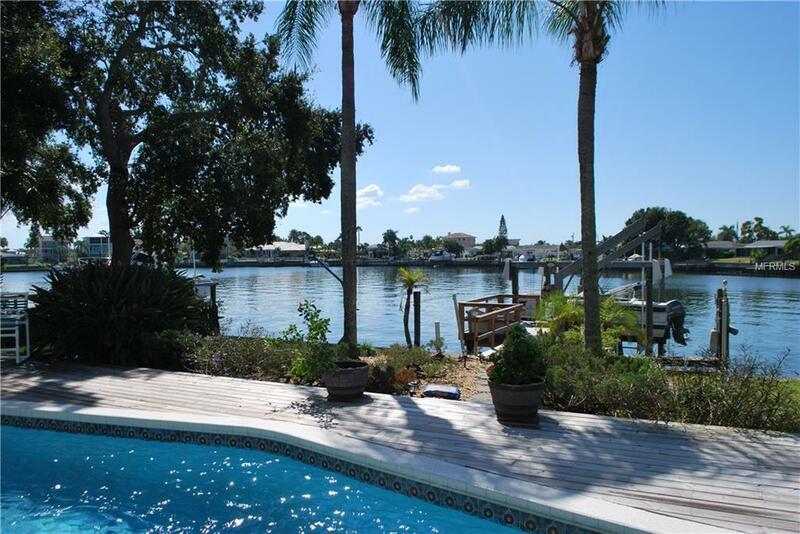 Spectacular views from 3 story waterfront home with deep, wide canal frontage. 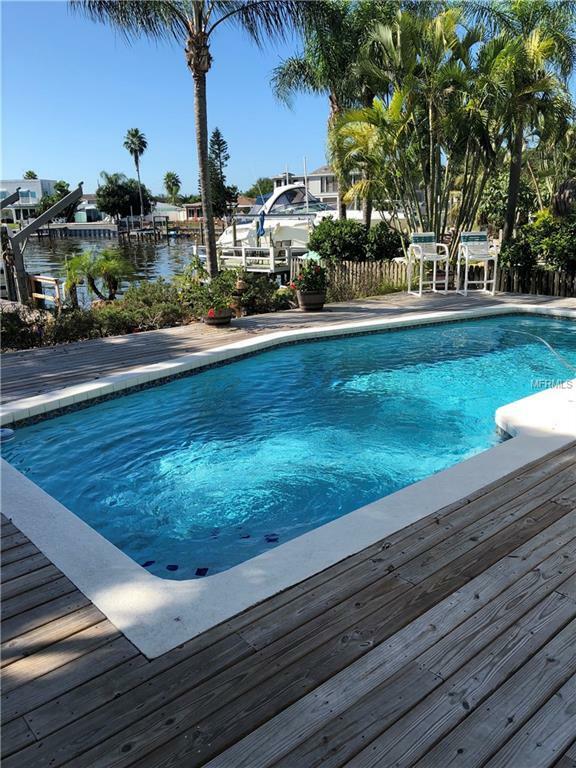 Enjoy boating and fishing from your own backyard. Dock has powered boat lift for easy access. Home has 4 bedrooms and 3.5 baths with 2888 heated sq. ft.Oversized 2 car garage. 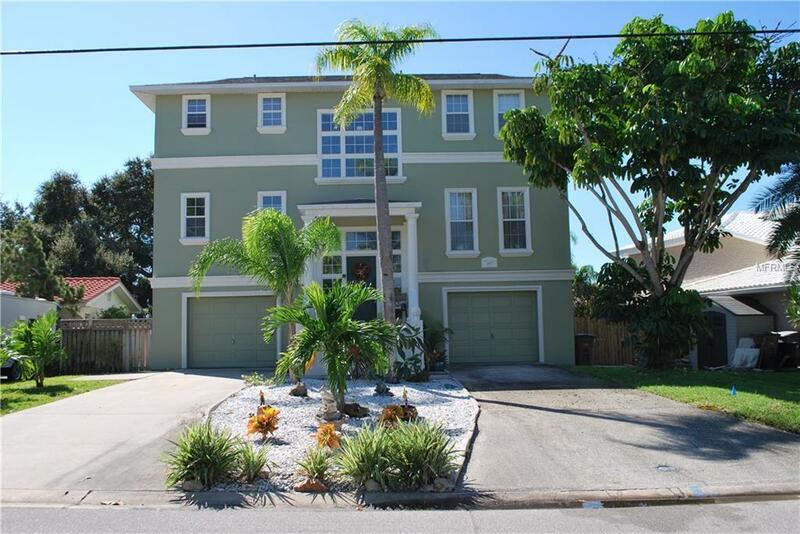 Kitchen and baths have been updated with solid surface countertops and vanities, custom wood cabinets. You will have ample cabinets for storage in kitchen with maple wood cabinets from ceiling to floor and stainless steel appliances. 20 x 20 inch ceramic tile through out 2nd floor with beautiful laminate flooring in bedrooms. 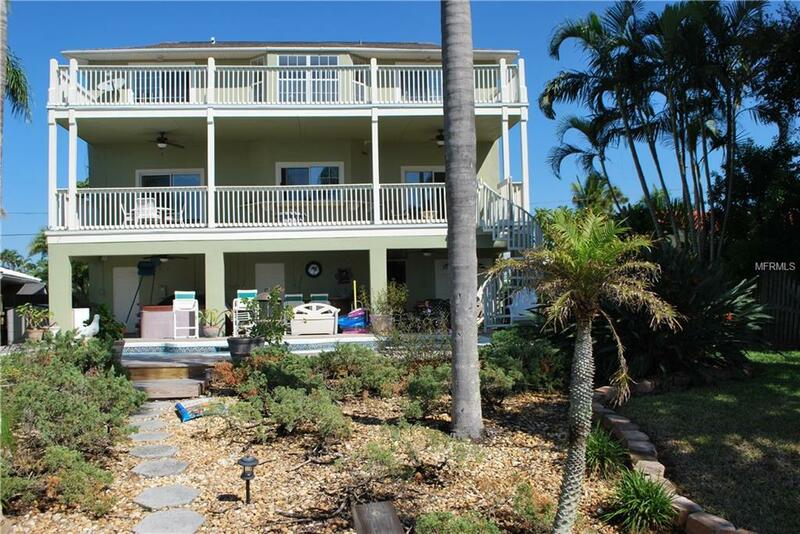 Master bedroom and 2nd bedroom have sliding doors to enjoy water view from 3rd floor balcony. Master bedroom has walk-in closet with master bath which features, solid surface vanities and dual sinks, custom cabinets, garden tub with separate shower stall. Additional updating include: A/C replaced 2014, New roof 2017, dock resurfaced 2017, exterior painted 2017, Underground sprinkler system Backyard has covered patio with swimming pool surrounding by wood deck replaced in 2017.. Enjoy beautiful sunsets from your backyard oasis!